JSU is the reigning OVC champion and was predicted to finish first in the OVC preseason coaches and media polls. Austin Peay was chosen to finish second in both polls. 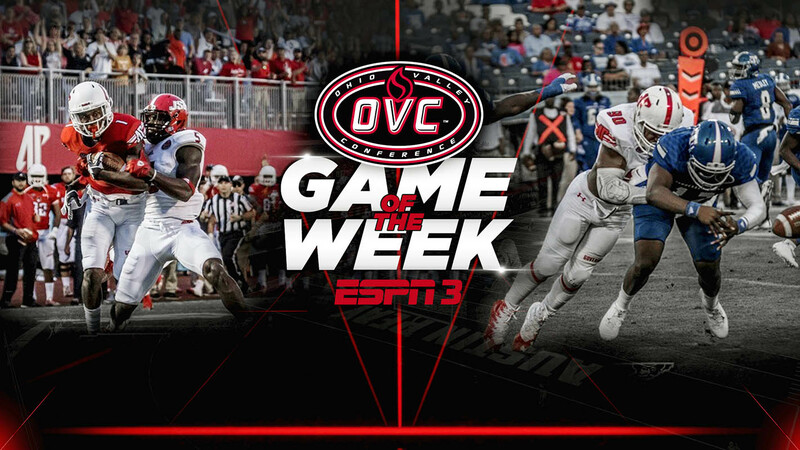 The following weekend, the Govs face off against Tennessee State at 6:00pm Saturday, October 6th at Fortera Stadium on ESPN3. The Govs scored a late touchdown and held on defensively to score a thrilling 21-17 victory against the Tigers last season. The next two matchups featured as the “Game of the Week” will be Eastern Illinois at JSU on October 13th, followed by UT Martin at Eastern Illinois on October 20th. The final four games of the regular season (October 27th, November 3rd, November 10th, November 17th) will be “Wildcard” selections and will be announced about 12 days before the game date.